The National Anti-profiteering Authority has found that the Jubilant FoodWorks, the franchise owner of Domino’s Pizza in India guilty of not passing GST rate cut benefit worth Rs 41.42 crore to the consumers on the sale of its products ‘Dominos Stuffed Garlic Bread’ and ‘Medium Veg Pizza’ under the GST regime. The authority, in its 69-page order, directed the Company to deposit the profiteered amount, divided equally between the states and Centre. The order was passed based on an e-mail complaint filed by a customer that Jubilant FoodWorks had not reduced the prices of ‘Dominos Stuffed Garlic Bread’ and ‘Medium Veg Pizza’ despite a cut in GST rate from 18 percent to 5 percent. GST rate on restaurants was cut to 5 percent without input tax credit (ITC) from 18 percent (with ITC) with effect from November 15, 2017. The authority found that Jubilant FoodWorks has not passed on the benefit of reduction in the rate of tax to its customers during the period November 15, 2017, to May 31, 2018. It found that quantum of denial of rate cut benefit or profiteered amount illegally earned by Jubilant FoodWorks is over Rs 41.42 crore and asked the company to reduce prices of its products by way of commensurate reduction in taxes. 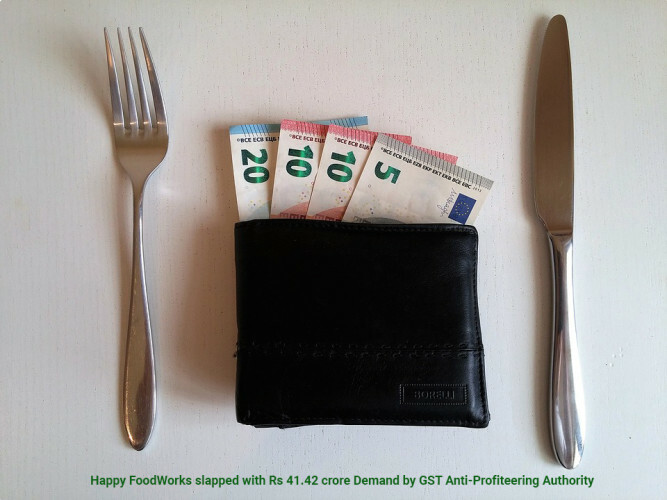 The Respondent (Jubilant FoodWorks) is directed to refund to the applicant an amount of Rs 5.65 along with interest @18 percent from the date of charging the above amount from him till its refund … he is further directed to deposit the balance amount of Rs 41,42,97,629.25 in the ratio of 50:50 in the Central and the State Consumer Welfare Funds along with interest @18 percent till the same is deposited, within a period of 3 months,” the NAA said.